If you eat, sleep, and breathe soccer like we do then everything you do becomes a chance to train and hone your craft. Your running doesn’t stop after the 90th minute. 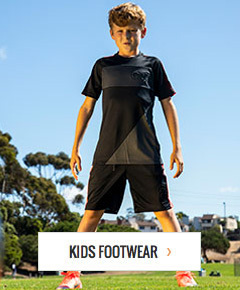 At soccerloco we hand-picked the best running and off-field soccer training shoes that will allow you to push past old barriers and become the best player you can be. Whether it is a pair of running shoes to get you through a five mile run, or soccer trainer shoes that offer the support and stability you need on the squat rack - soccerloco has you covered. We offer players some of the lowest prices online and no hassle returns that make it easy to find exactly what you’re looking for. Shop now and kick your soccer and fitness goals into high gear!